This fall, states are paving the way to reform laws barring people with past criminal convictions from the ballot box. Below, find an update on reform efforts in the legislatures and the courts. 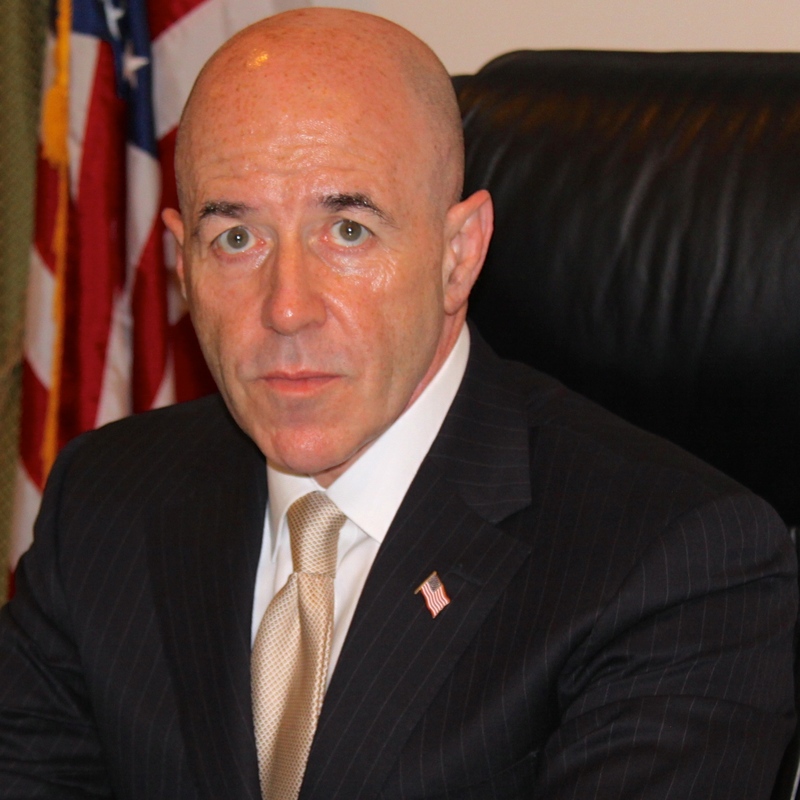 Bernard Kerik is an accomplished law enforcement leader and advocate for people with past criminal convictions. For more than 30 years, he served his country with distinction, most notably as New York City’s 40th police commissioner. For close to six years, Mr. Kerik served as first deputy and later commissioner of the New York City Department of Correction. His achievements in these roles and in the criminal justice field have provided Mr. Kerik with a unique and one-of-a-kind perspective into the U.S. criminal justice and prison systems, prompting him to become an advocate for criminal justice and prison reform in America. We spoke with to Mr. Kerik about his work, his life, and how they have come to influence each other. Our conversation was edited for space and clarity. Below is a short excerpt of our conversation. To read the full interview, visit our website . Because it is a very small part of the way that you begin to become whole. Unfortunately, the system as it stands today never really gives you that opportunity to become whole, it never gives you the opportunity to start over. Your voting rights are a small piece of that. Unfortunately in some states, even today, people are still precluded from voting for a lifetime. It’s bizarre. The punishments in the criminal justice system are supposed to fit the crime — the reality is it does not. To take someone’s voting rights away for a lifetime is just wrong, and not what the system was designed for initially. Do you find the law enforcement community is amenable to rights restoration? The objective behind the Brennan Center and my push in this fight is to educate the American public and explain why it is so damaging. To explain to them and let them know what happens when you personally and professionally annihilate someone for life. There is no benefit to society. In fact, it’s an economic burden to society. You lose the taxable income and economic spending form a person that could be working. Look, there are people in prison who are put away to protect society. But at the end of the day, more than 90 percent of the people in prison today are eventually coming home. If that’s the case, and we really want a better society, you have to give them a second chance. You have to give them their voting rights back, you have to create a mechanism by law where their conviction is abolished at some point so that it is not held against them. Right now, we do the exact opposite. Until that stops, we will just continue to diminish our society. Read the rest of Kerik’s interview here . In September , Wyoming’s Joint Judiciary Committee unanimously passed  a measure that would make it easier for citizens with past criminal convictions to vote. Currently, people convicted of a first-time, non-violent felony have to apply to have their rights restored five years after completing their sentence. The governor and state parole board are responsible for restoring rights on a case-by-case basis — a time consuming process. 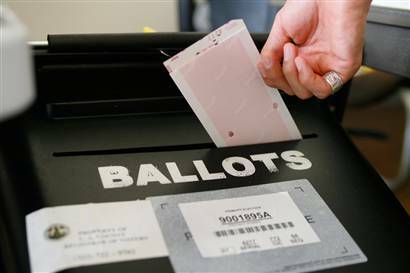 People with multiple felony convictions and those convicted of violent felonies are permanently barred from voting, unless pardoned or restored to rights by the governor. Only eighty-two  people have had their voting rights restored since this 2003 law went into effect. The new bill would automatically restore the right to vote to non-violent felons at the end of their sentence, streamlining the process. The larger legislature will consider the measure once it reconvenes in January for the 2015 session. If the bill is approved, automatic voting rights restoration would begin to be issued by the state’s department of corrections in January of 2016 . The Joint Judiciary Committee’s  unanimous vote shows strong bipartisan support for rights restoration: Two Democrats and 12 Republicans voted to move the bill out of committee. On November 7th, The American Civil Liberties Union filed a lawsuit  on behalf of Kelli Jo Griffin, an Iowan who lost her right to vote in 2008 following a nonviolent drug conviction, arguing Ms. Griffin’s disenfranchisement violates Iowa’s constitution. Earlier this year, the Iowa Supreme Court questioned a key provision  in the state constitution that deprives people with past criminal convictions from having their rights restored. In 2013, Ms. Griffin took her four children with her to vote in a city election. She was told by her defense attorney in 2008 that her voting rights were automatically restored after she completed her sentence. That was accurate in 2008, but not after 2011, when Gov. Terry Branstad (R) ended automatic rights restoration and ordered that all people with past criminal convictions must apply to have their rights individually restored. Since 2011, fewer than 40  of the 25,000 Iowans that have finished their prison sentences or been released from supervision have regained their right to vote. Under the current system, people seeking to have their rights restored must pay a $15 fee to complete an official state background check and fill out a lengthy application. In December 2013, Ms. Griffin was prosecuted for perjury because she had misunderstood her voting status and cast a ballot when her rights were not restored. “I explained that I did not know about the rule change, but the local county attorney insisted on prosecuting me, spending thousands of taxpayers' money to try to send me to jail — away from my husband and young children for up to 15 years,” Ms. Griffin stated . “Knowing that I had not committed a crime, I withstood the crippling expense and emotional roller coaster of a trial instead of accepting a plea deal for a crime I knew I did not commit.” Three months later, Ms. Griffin was acquitted, and she “cried with relief” upon hearing she would not have to leave her family. While Mrs. Griffin is still currently blocked from voting, the lawsuit filed on her behalf in Polk County District Court seeks to change that. The ACLU is asking the court to declare that under the state constitution, people who have low level felonies in their pasts should be allowed to vote. Advocates began collecting signatures in October for a proposed ballot initiative  to restore voting rights to people with past criminal convictions in Florida. The initiative would amend the state’s constitution to automatically restore rights for people who have completed all terms of their sentence. This change would not apply to those convicted of murder or sexual offenses, who will still have to individually apply to have their rights restored. 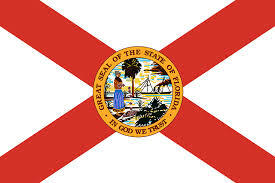 In Florida more than 1.5 million people  are permanently denied the right to vote because of a prior felony conviction. The Sunshine State is one of only three in the nation that has a lifetime ban on voting after a person is convicted of a felony. The ballot initiative will be considered on the November 2016 election if it receives judicial approval and approximately 700,000 required signatures — and would become law if approved by 60 percent of voters. If you or your organization have contacts in Florida that would be willing to assist with signature collection efforts, please contact Carson Whitelemons at carson.whitelemons@nyu.edu . Advocates and legislators in Kentucky are already waging an effort to expand the franchise and allow more people with past criminal convictions access to the ballot box in 2015. Last session, Kentucky came closer than ever to passing legislation that would place a ballot question on whether Kentucky would automatically restore voting rights to most people with felony convictions upon completion of their sentences. The state is one of the three remaining in the nation that bars people with previous convictions from voting unless they receive an individual pardon from the governor. 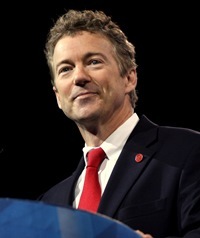 U.S. Sen. Rand Paul (R) returned to Kentucky  earlier this year to personally testify in favor of rights restoration. While this year’s election had one of the lowest turnout rates  in years, more than 4.4 million people were excluded from even the option of participating because of felony disenfranchisement laws. The Sentencing Project released a new infographic  in advance of the election highlighting disenfranchisement rates for the total U.S. population and for African Americans in key states. It shows that 75 percent of people who cannot vote because of past criminal convictions are already living and working in our communities. Post-election analyses  also illustrate how felony disenfranchisement affects our elections. In Georgia, David Perdue defeated Michelle Nunn by a margin of approximately 200,000  votes. In contrast, Georgia has more than 226,000  people with past criminal convictions living in their communities who cannot vote. Similarly, in the North Carolina Senate race and the Florida governor’s race, the margin of victory was smaller than the number of disenfranchised felons. While not a definitive empirical analysis of the impact felon disenfranchisement laws have on our election results, these margins indicate the toll of barring people with past criminal convictions from our political process.